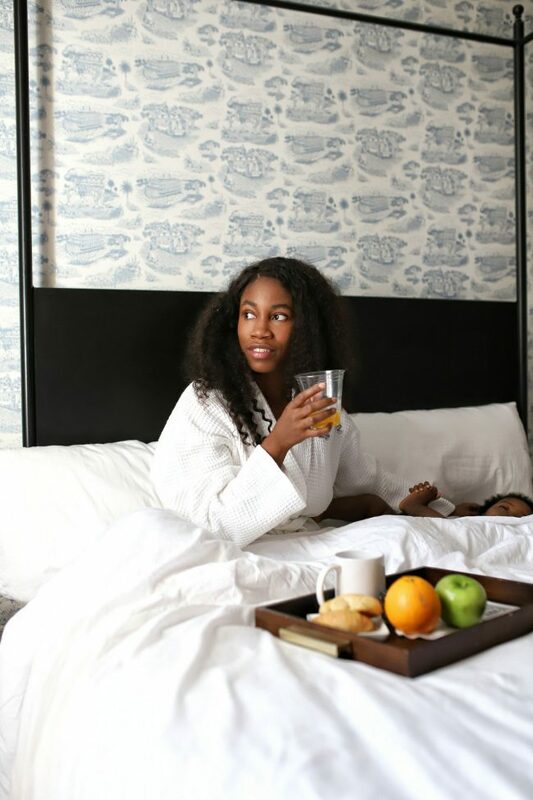 We recently took our first family vacation with baby to New Orleans and stayed at the Henry Howard Hotel. We had a blast. 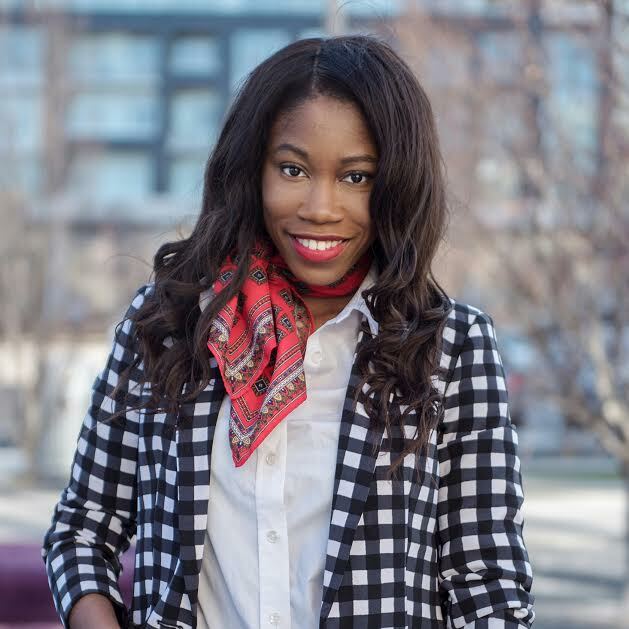 I will be publishing a complete travel guide to share our adventures and give you some great gems. 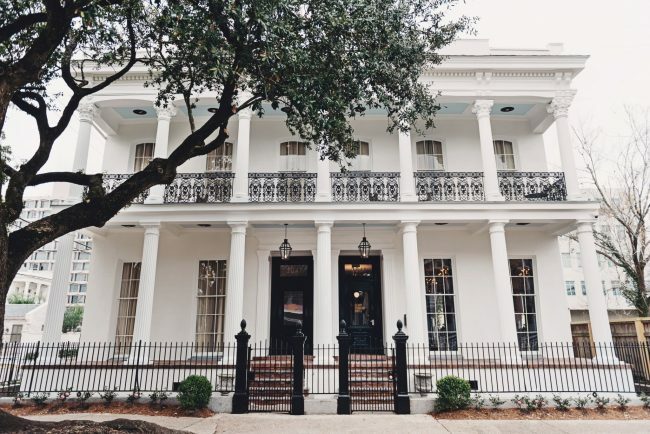 However, I wanted to write this impromptu post about our stay at the Henry Howard Hotel located in the Garden District. 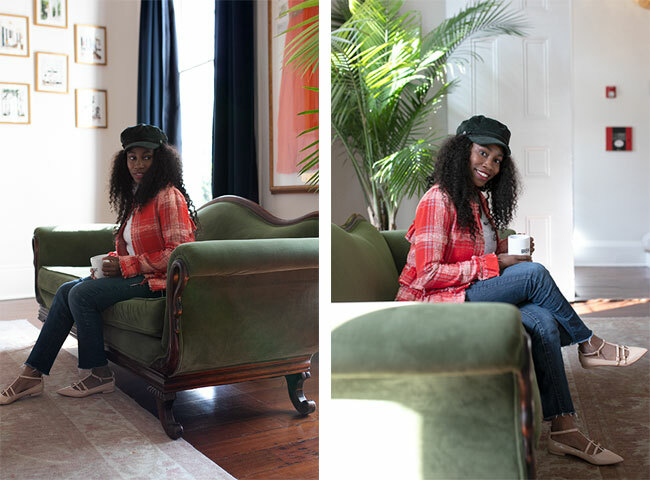 I did not plan to write a whole blog post dedicated to our stay at this boutique hotel, however it was gorgeous and we had such a great stay that I had to share. 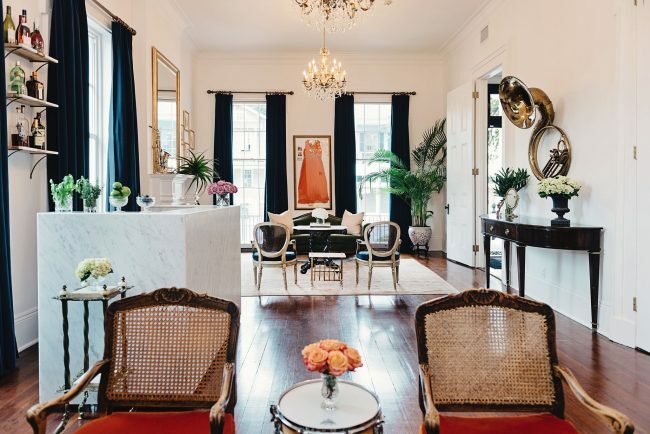 The Henry Howard Hotel was the definition of Southern hospitality and we definitely lucked out in choosing the perfect property in New Orleans. From the time we arrived to the time we left the property, the staff were super friendly and helpful. 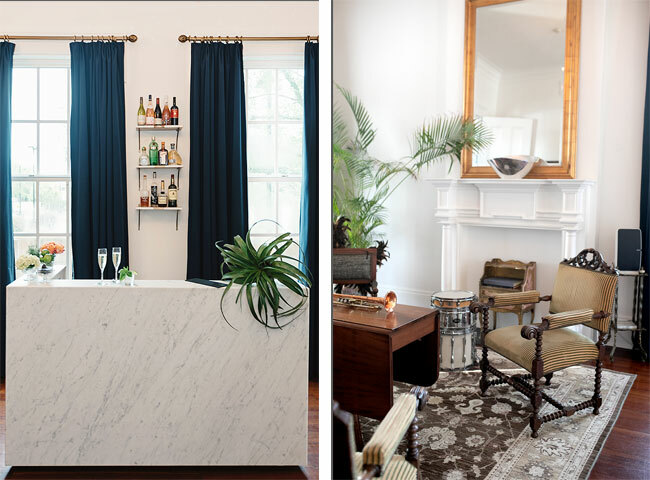 What initially drew me to the property was the mix of traditional and contemporary interior design influenced by the rich culture of New Orleans. The hotel was also located in the perfect location, right around the corner from Magazine Street. Magazine Street is a great area filled with unique boutique shops, restaurants, lively bars, and stand-out New Orleans music. We stayed in the Superior Queen room. 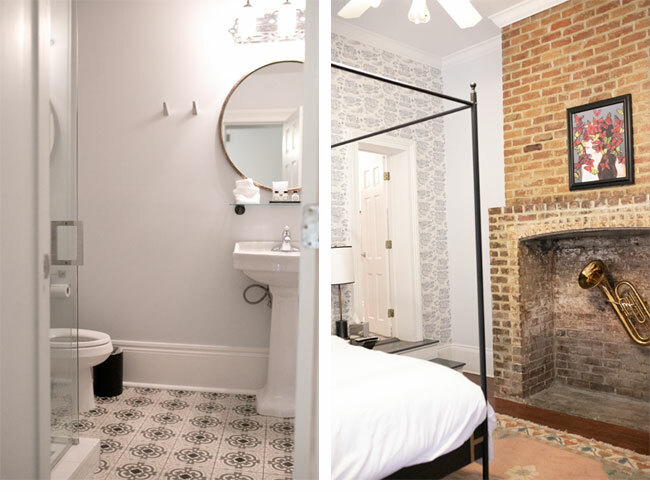 The room was elegant but quirky with a brass saxophone positioned strategically in the exposed brick wall above the fire place. The room had high ceilings, big windows, and a relaxing seating area. The hotel also accommodated for our infant daughter by providing a play-pen to sleep and play in. Lastly, we were pampered each morning with orange juice, tea, coffee, fruit and freshly baked croissants in the parlour room and freshly baked cookies in the evening left in our rooms. Overall, our stay was wonderful and reasonably priced. 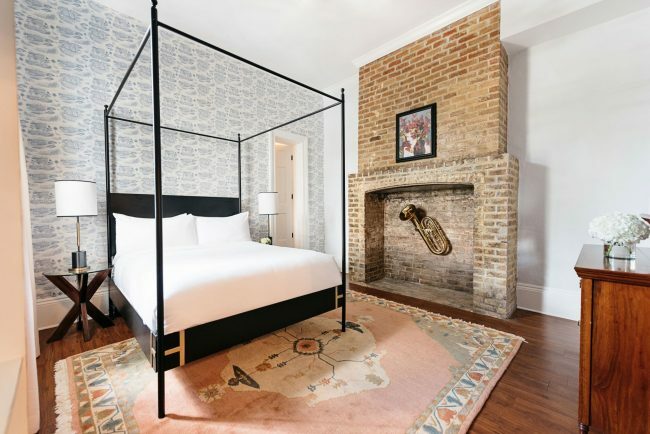 I would recommend checking out The Henry Howard Hotel if ever visiting New Orleans. 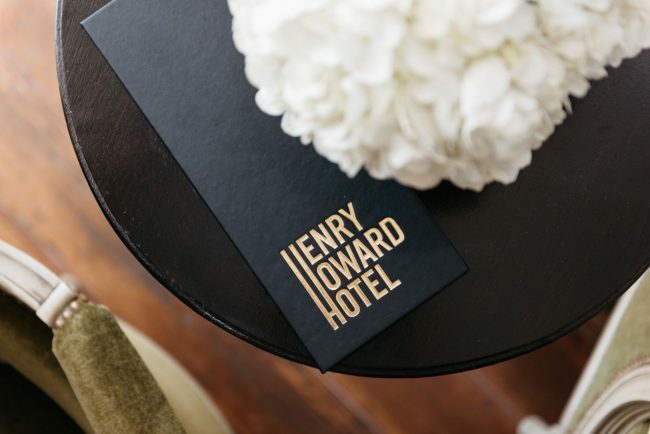 Have you heard of the Henry Howard Hotel? What makes your stay at a hotel more enjoyable?